i wore it 16 days. i had only worn it once before the challenge, and so many times it helped me turn a top and jeans into a pulled-together outfit—so i’m giving myself a break! and i’m planning to go out and buy another one (or two) very soon! see what else is on my list to purchase after not shopping for 30 days. 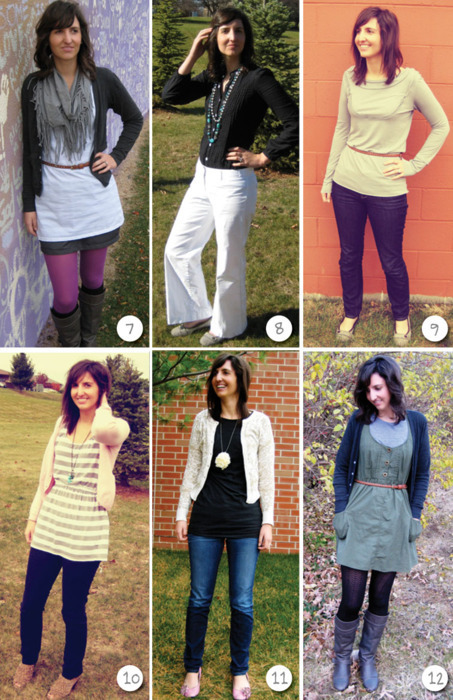 here’s a breakdown of all my outfits that my awesome design friend keisha put together. she even used my own handwriting font for the numbers! fall 30 for 30: what i learned...and my shopping list!